Move Over San Francisco; Tel Aviv is the Center of All Things E-Scooters! 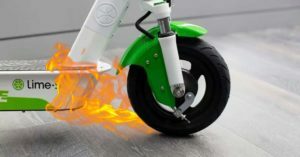 Electric-scooter rental companies are hitting speed bumps in the U.S. over safety and other concerns. But in Tel Aviv, one in 10 residents has rented a Bird e-scooter, and the city appears to be embracing them. WSJ’s Jason Bellini takes a look at the challenges and potential lessons of the e-scooter craze.